What’s it like to live in Fishtown? 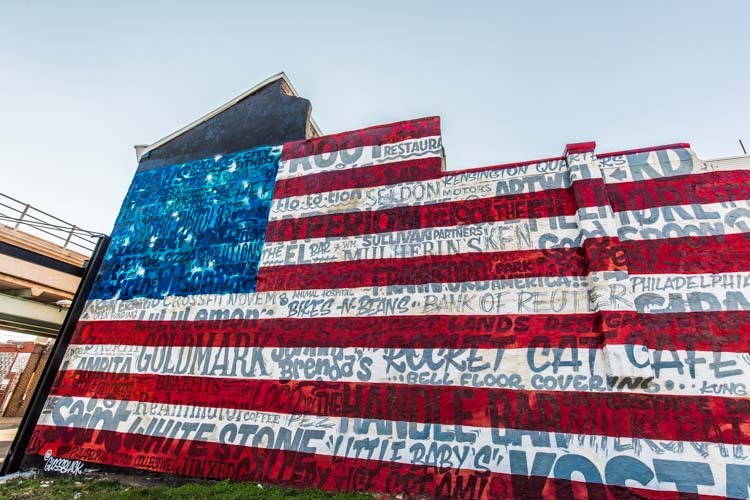 Fishtown is an up-and-coming neighborhood full of life, color, and IPAs. 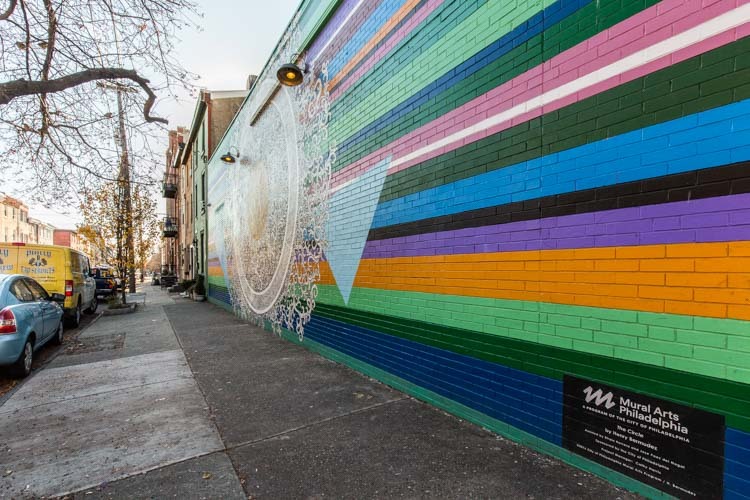 Serving primarily as an industrial region of the city for years, Fishtown has truly blossomed into a perfect mix of old and new. People who’ve lived here for decades are neighbors to young professionals and artists. 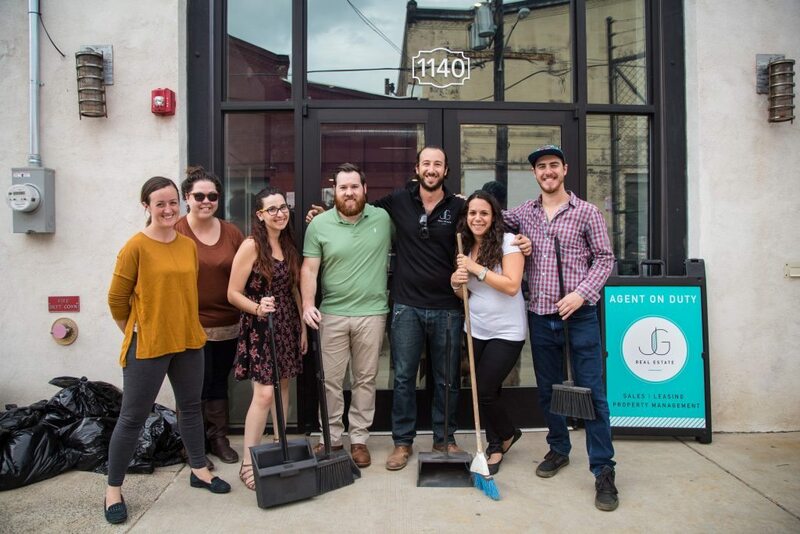 (Fishtown is also home to your super-awesome friends at JG Real Estate – just saying.) Nailing down the boundaries of this neighborhood is tough. With the influx of new residents over the past few years and the boom in restaurant and business growth, the lines between Fishtown, Kensington and Port Richmond are getting blurrier and blurrier. 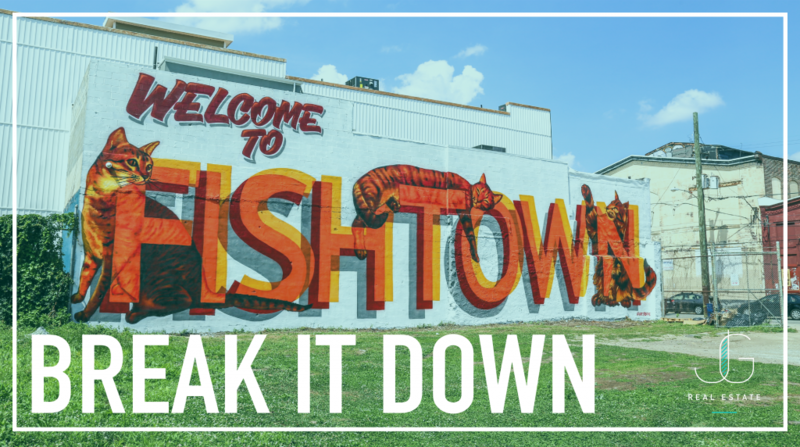 Regardless of where Fishtown starts and ends, this diverse community is welcoming to and for all. For those of you who are thinking about making the fishy transition (fish-sition? ), here’s some cool stuff you should know about what it’s like to live in Fishtown – your potential future home. We all know that Philadelphia is famous for having some of the coolest art galleries & music venues in the country. With too many to list, here is a small taste of what you can find in 19125. 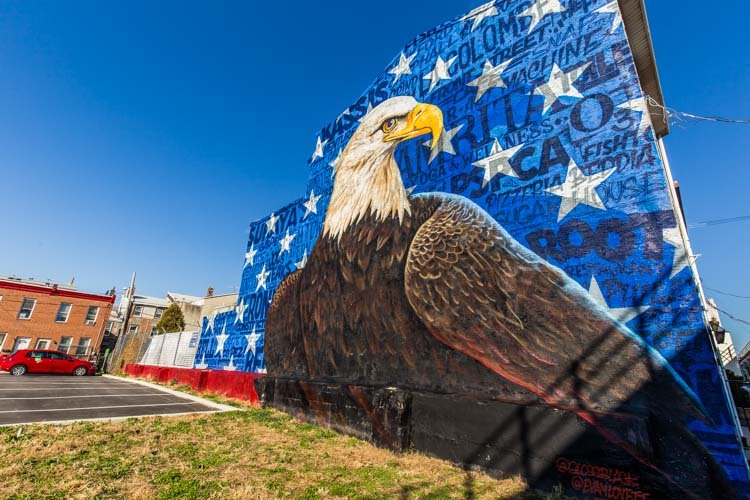 Image by JG Real Estate, Mural by Henry Bermudez – Located at 2233 Frankford Ave. 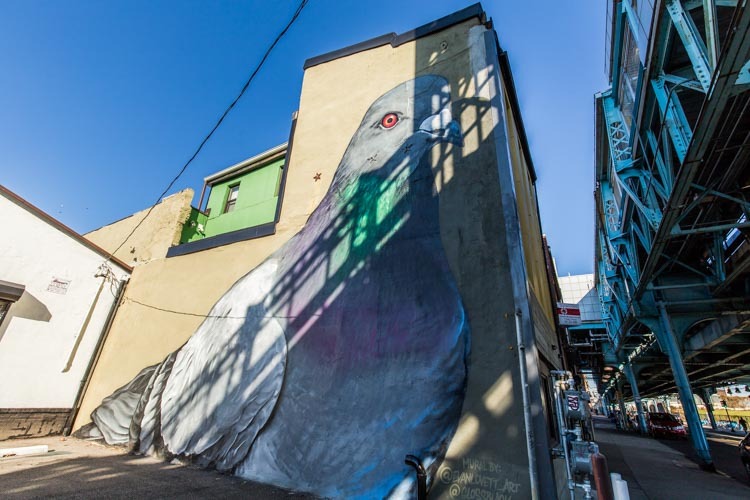 Image by JG Real Estate, Mural by V.U.R.T | http://vurtcreative.org -Located at Front & Berks Streets. 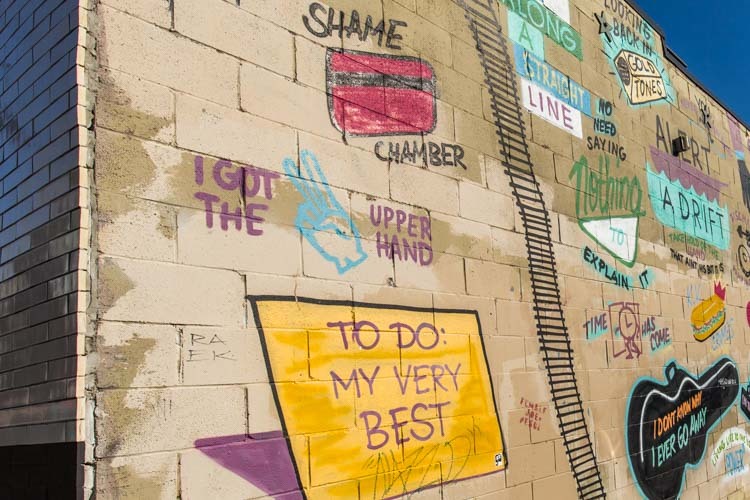 Image by JG Real Estate, Mural by V.U.R.T | http://vurtcreative.org – Located on Front Street, between Master & Thompson Streets. Check out more work by V.U.R.T. Black Vulture Gallery Big on artwork? Big on artwork on you? Black Vulture Gallery at 208 E Girard is where only the coolest Fishtown kids go to get their ink done. With multiple talented and experienced artists, you are sure to walk out of there with a gorgeous and skillfully done one-of-a-kind tattoo. The Fillmore/Foundry If you’ve been in Philly for a while and you’re a fan of live music, you’ve almost certainly been to The Fillmore. With a wide range of artists from all different genres performing here, this awesome venue with tons of open floor space is always loaded with all different types of people, brought together by the universal love of (really good) music. No community is complete without a great park, or, in our case, several great parks. 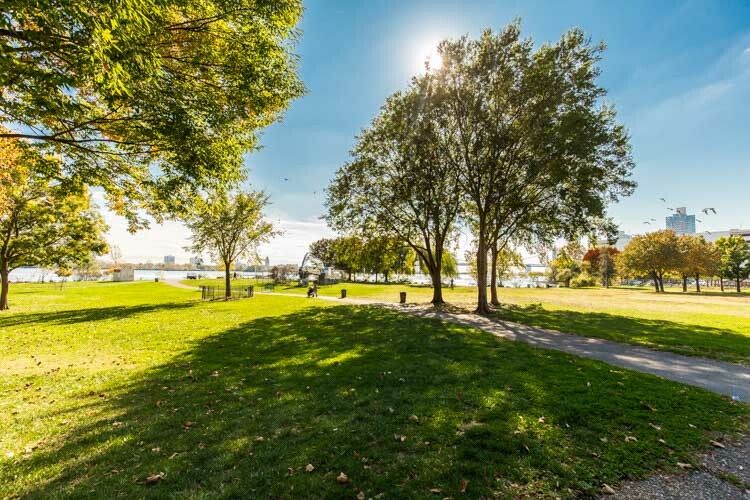 The most notable and popular outdoor space in the neighborhood is Penn Treaty Park. If you’re a history nut, you’ll know that this park is where William Penn famously entered a peace treaty with the chief of the Lenape Turtle Clan in the 1680s, hence the name “Penn Treaty.” There’s your fun Fishtown fact of the day. Today, Penn Treaty Park has acres of open space, ideal for bike-riding, picnics, going on runs, and more. Does your little one have four legs? They’ll be right at home here, with multiple parks dedicated solely to your fur-babies. Triangle Dog Park and the Palmer Doggie Depot are the hottest spots in the ‘hood for your pups to make pals. Ham & Bone – Get all your pet necessities at this new spot at 1824 Frankford – toys, treats, and tummy rubs galore! For those of you with little ones, Fishtown provides you with plenty of options to give your kids the great education they deserve. Public elementary schools include Alexander Adaire School, located at 1300 E Palmer. Adaire offers an advanced liberal arts education and small class sizes for grades K – 8 to ensure that each student gets one-on-one attention as needed. With young families seeking quality education for their little ones, the Adaire catchment is responsible for much of the growth in Fishtown. Next is Hackett School, at 2161 E York, serving grades K-5. 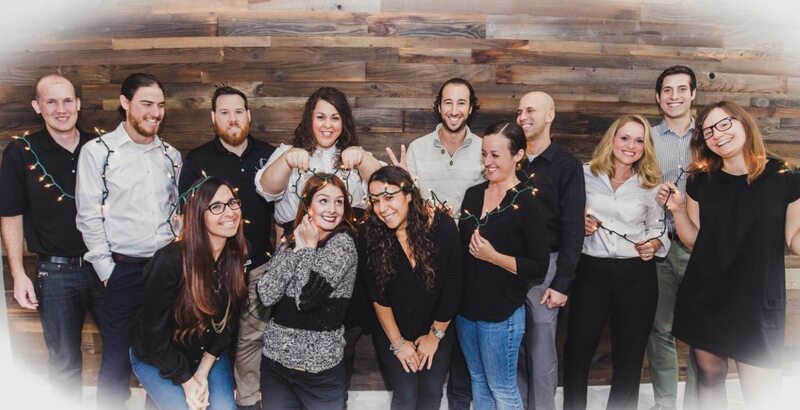 Their specialties include physical education, art, technology, and music, while also maintaining a healthy balance of standard math, science, history, and more. If you have a parochial preference for your Pre-K through 8 kids, St. Laurentius School is located right at 1612 E Berks, just below Frankford Avenue. St. Laurentius was voted the Philly.com Reader’s Choice #1 elementary school in Philadelphia, which vouches for the excellent private education the school provides. PlayArts At 1241 N Front, PlayArts dedicates their work to educating young minds, while keeping things fun. Awesome for parents with little ones, this place offers tons of hands-on activities, classes, and playtime to maximize mental development and growth. Not to mention, the parents get their own little mezzanine with Wi-Fi and coffee, so they can keep a close eye on their kids, but also finally finish that book they’ve been trying to read for three years. Ahhh, parenthood. Being bored in Fishtown is basically impossible. With all of the events the area has to offer, you will never be left without something to do on a Friday night. One of the most unique events Fishtown hosts annually is the Kinetic Sculpture Derby & Arts Festival. Trust me, it is better to see it than to read about it. It’s also kind of hard (read: too ridiculous) to put into words. That said, for a fun day of food, drinks, a parade, and tons of art, you do not want to miss this one. An incredibly popular event that shuts down the main street in Fishtown is their annual Oktoberfest. 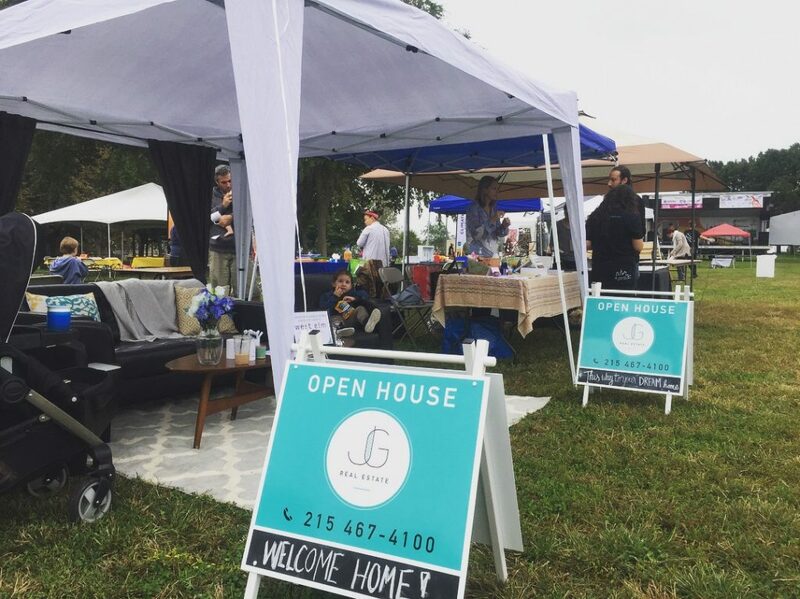 Taking place every September around the same time as the real Oktoberfest, Frankford Avenue is transformed into Little Germany, and there are never any shortages of beer or sausage to help the community celebrate. JG Real Estate at the RiverCity Festival this past fall. Quite special to our little neck of the woods is the RiverCity Festival in Penn Treaty Park. Having just celebrated its tenth year, this festival brings the community together with live entertainment, food, drinks, and tons of activities for kids and adults. This all-day party is a Fishtown must. Just like most neighborhoods in Philadelphia, Fishtown does have its own Annual Restaurant Week that takes place in August. Perfect timing to sit outside (or inside, if that August heat is too much for you), many of the restaurants in the area have Prix Fixe menus for just $35 per person. 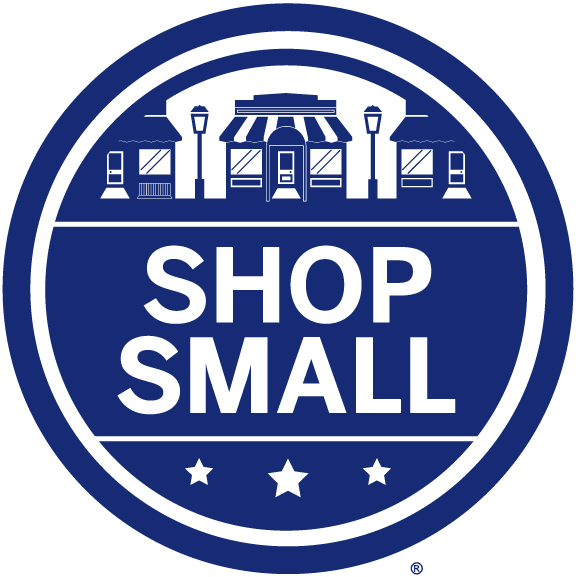 It is a great deal and is perfect for those of us who love to go out but might not always have the means. Suraya This Lebanese cafe just opened in early December, but it already has the whole city buzzing with excitement. Located at 1530 Frankford, the owners are introducing aspects of the new restaurant bit by bit, currently only serving coffee and a casual cafe menu. 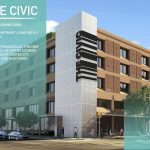 The full 125-seat restaurant is due for its hard open in January, and if you know what’s good for you, you’ll make a reservation. Tierce Brunchers rejoice! This brand-spankin’-new breakfast and lunch spot at 2218 Frankford with an upscale twist provides elevated comfort food: bagels with brisket, pancakes with white chocolate and preserved peach, grits with chorizo, etc. Familiar, but fancy. Kensington Quarters – Support local business and agriculture by checking out this sustainability-friendly restaurant and bar. They get everything from local farmers and provide the most delicious and healthiest food possible. They even offer classes and host events — you can learn how to butcher an entire pig and then stay for a well-deserved drink after! I don’t know about you, but that sounds like the perfect date to me. Front St Cafe This adorable corner cafe at 1253 N Front is way bigger than it seems. With a fully enclosed back patio and a gorgeous covered outdoor bar, you’ll forget you’re even in the city. Delicious cocktails, the most amazing buffalo cauliflower you will ever eat, and a calm but fun atmosphere will leave you… well, never wanting to leave. Girard This adorable little brunch haven located at 300 E Girard is the perfect spot for a quick bite. Avocado toast, french toast, toasted bagels, all the toast! With eggs, sammies, salads, and every variation of coffee you can hope for, Girard is great for a brunch date. Riverwards Produce Starting out as a pop-up shop in a garage, this business has exploded into one of the most popular produce destinations in Fishtown. Serving fresh fruit and veggies five days a week, Riverwards is now parked in an old firehouse at 2200 E Norris and has become a neighborhood staple. 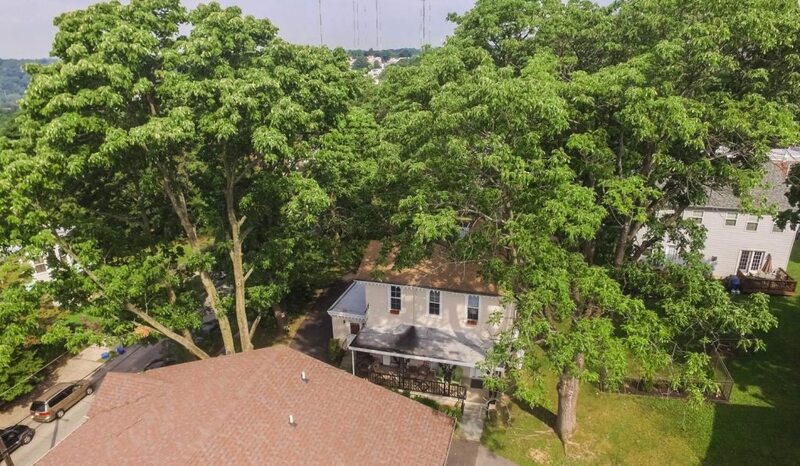 Want to be part of this thriving neighborhood? Search our Fishtown listings – both sales and rentals.